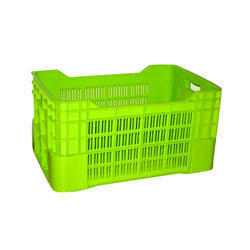 Prominent & Leading Manufacturer from Coimbatore, we offer vegetable crates and fruit plastic crates. We are the leading supplier of Vegetable Crates made available to our clients at competitive prices. Since the inception of our company, we are engaged in manufacturing and supplying the premium quality of Fruit Plastic Crates. Designed as per industry laid norms, the offered fruit and vegetable crates are used for storing different types of fruits and vegetable. As a quality focused name, we assure that the quality of fruit and vegetable crates is never compromised. 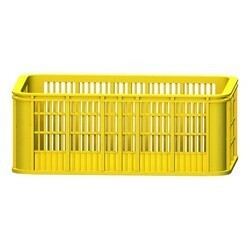 Looking for Grocery Crates ?